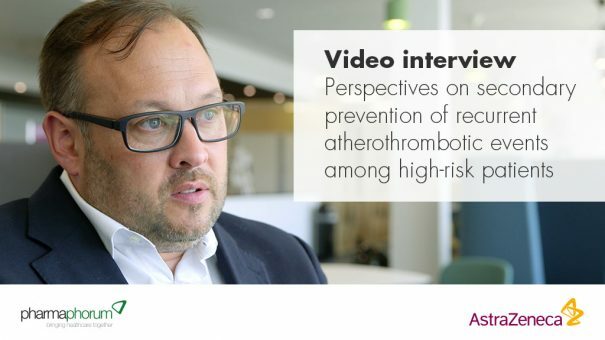 As part of the roundtable debate on secondary prevention of recurrent atherothrombotic events, Dr Paul Tunnah speaks with a participant, expert patient Nick Hartshorne-Evans, to hear his perspectives on secondary prevention. In conjunction with the roundtable video debate, pharmaphorum are releasing individual video interviews with the four expert participants. Here, Nick Hartshorne-Evans gives his views on secondary prevention and the patient role in improvement. 00:12 – From a patient’s perspective, what is the awareness of the risk of secondary events? 01:38 – Based on your experience, if a patient has had a primary event, what is the right time to start talking about secondary events? 02:46 – How well do you think patients appreciate clinical guidelines around secondary prevention? 03:57 – How do we balance guidelines for the overall patient population with the individual patient and their own specific needs? 05:24 – How can patient groups make sure the patient voice is represented at the government level? 06:42 – How do you make sure patients understand the advice and get feedback, or validation, on how it’s working? 08:37 – Where do you see disruption coming from in the context of secondary prevention? 09:55 – If you could change one thing in terms of how we manage secondary prevention now, what would it be?